Behold: the Husk burger in all its splendor. What is Husk, you ask? Well, it’s one of my most favorite restaurants in the whole world. The project at Husk is deceptively simple: to highlight foods of the South, sourcing everything (including truffles, salt and olive oil) from Southern producers with a commitment to sustainability. Tied into this is also a recovery of heirloom varieties of both meat and grains. The idea is not to slavishly adhere to tradition, but to use it as inspiration. The food is artful and beautiful, but more importantly, it is memorable because it is so very delicious. And they have a stellar collection of Pappy van Winkle bourbon- which is never a bad thing. A burger is one of those foods that is very personal, everyone has their favorite. Why is this one so good? Every great dish, be it lowly or lofty, is a symphony of balance and proportion-this is no exception. It’s a righteous combination of beefy, cheesy and gooey with a great acidic backbone provided by the pickles and onions. Also, there is ground bacon mixed right into the burger. Genius! The recipe below is adapted from the one that appeared on Food Republic last week, in honor of the release of Sean Brock’s first cookbook, Heritage. (You can find that recipe here). I’ve added in some notes and some sourcing options and variations, but I’ve tried to present it in its purest form. special equipment: 2 12-inch cast iron pans. (if you don’t have two pans, work in batches. If you don’t have cast iron, use your best, thickest-bottomed pan). *the first time through I used potato rolls, but the ones I found just didn’t hold up. Even after toasting, the bottom bun fell apart. Bummer. The second time through I switched to Pepperidge Farm Hamburger Buns with sesame seeds. They worked like a charm and still captured the spirit of the bun chef Brock intended (squishy and pillowesque). I accidentally over-toasted my buns and they were a bit to crunchy, so I threw them in a bowl, covered with plastic wrap and microwaved them for 15 seconds. Then they were perfect. 1. 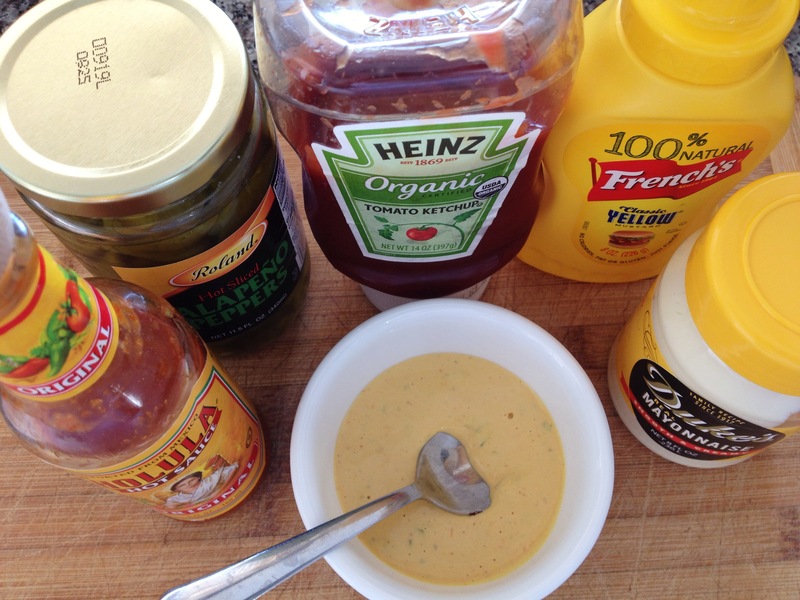 Combine all ingredients in a large container and stir together to blend well. 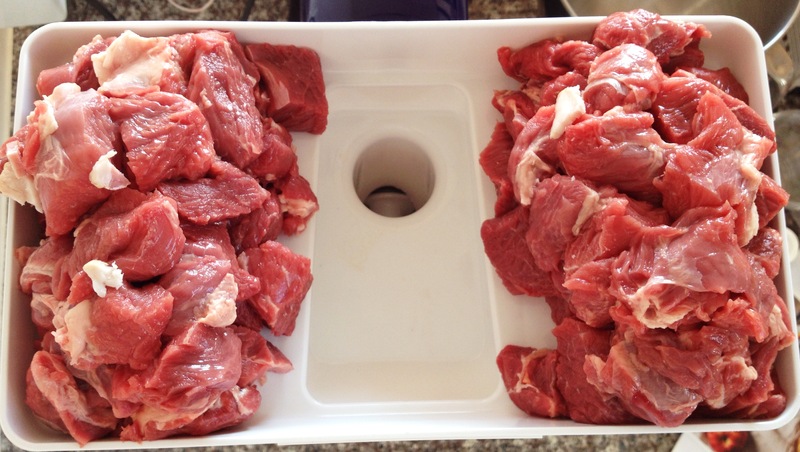 Grind the chuck, flank steak and bacon through a meat grinder fitted with the large die into a bowl. Grind again- run half of the mixture through the small die. Mix the two together. Portion the meat into twenty 3-ounce patties, about 1/2-inch thick (each burger gets 2 patties). Butter buns generously, both top and bottom. Toast buns (on griddle/in toaster/in oven, etc) until golden brown. Reserve. Heat skillets- get two 12-inch cast-iron skillets as hot as possible. Cook burgers- divide the patties between the two hot pans, and cook for about 2 minutes. Flip burgers-When the patties are nice and charred flip them over and cook for 2 minutes more for medium. Garnish 10 of the burgers with slices of onion. Put cheese on all of the burgers and allow it to melt, about 30 seconds. Stack burgers- place non-onion patties on top of the onion patties. Remove from the heat. 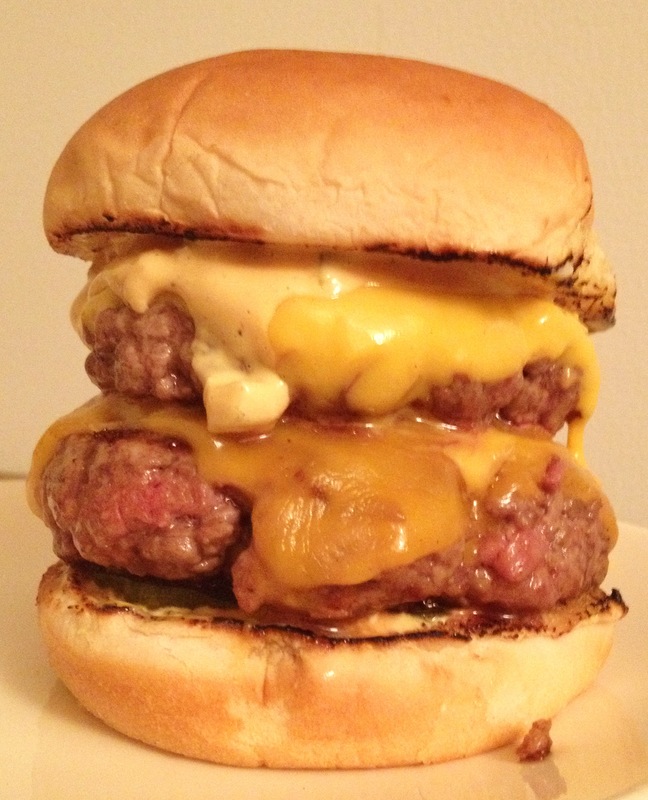 Construct burgers- place five pickles on each bottom bun, add stacked burgers, put on top buns. Serve at once. The Taste- I think this is a perfect burger. It’s like eating a hug. I already waxed ecstatic about the perfectly balanced flavors of the burger, so I will say that even if you are in doubt (ie you don’t usually like pickles and onion on your burger), give this a try. You will thank me. The Process– Yes. It does take a bit of effort to grind your own meat (or to find a butcher to do it for you). But, that’s really the hardest thing. Once that is done, the rest is a breeze.